Justin Houchin is a highly experienced musician, a passionate performer, and maintains a friendly professionalism. 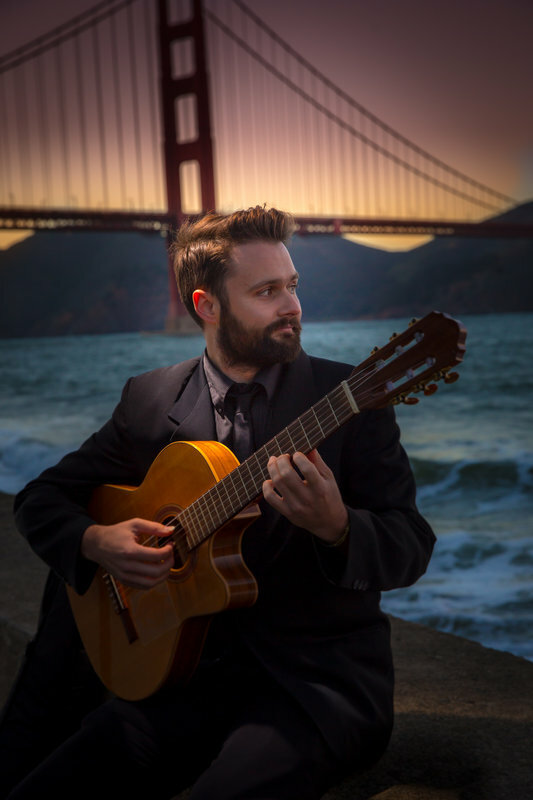 With years of experience performing for events of all sizes and traditions throughout Southern California, Europe and the Bay Area, he has the talent and expertise to ensure that the musical portion of your event will be stress-free and exactly to your liking. He is fluent in many musical styles, including classical, jazz, popular, folk, Spanish, and South American, and holds a B.M. in guitar performance from the San Francisco Conservatory where he studied with Grammy Award winning guitarist Sergio Assad. Justin has won numerous awards for his performances including the 2010 Avanti Award and is a regular performer at Yoshi's Jazz Club in San Francisco. He treats each event on an individual basis, and enjoys collaborating with his clients over e-mail, phone, Skype or in-person consultations. If you are unsure of the music that would best suit your needs, he has the expertise and intuition to help create the perfect musical sound-scape for your special event. He has a number of standard wedding pieces that have been beautifully arranged for the classical guitar. And if you're looking for non-traditional repertoire he can even arrange your favorite songs.